Since my blogging journey, oh NO, let me put it this way, since my Internet journey started way back in 2007 I met a good number of Amazing Bloggers from the world of the Internet. And I went through various aspects of this wonderful phenomenon called blogging. I have faced good and bad experience on this journey, though there were few incidents of bad experiences I can very well say that 99% was pleasant thus far. And on the way I received many applauds from different quarters, some are in fact are from very unexpected quarters. I am so glad to present few of such amazing bloggers and their uplifting and valuable mentions on their web pages. My sincere thanks to all these bloggers who featured me on their websites. I am sure this will be a great motivation to me as well as others who mentioned me in their esteemed pages. I never thought of publishing a post like this, but in the recent past, I noticed that many of the bloggers’ are doing this as an inspiration to them as well as to the regular visitors and other readers. These are only a few which came to my memory since I was not keeping a record of such things I may miss out some mentions somewhere! I am sure if any, of such friends, may be reading this, kindly let me know via an email or as a comment below, that will be very much appreciated and such mentions can be incorporated in this post. I express my heartfelt thanks to all my loving friends who took the pain to feature me on their pages. I am sorry some of the places where I am mentioned by my esteemed friends, I could not recollect, and as mentioned above please share that in the comment column or through an email to me, so that I can incorporate the same in this post. This is my humble request to my loving friends. Also, I wish you all a wonderful and profitable time of blogging ahead! Thanks, Brent for the kind inclusion of my two cents too on this prestigious project. I wish all the best to my beloved friends who featured me on their pages. Please let me know if I missed anyone in this list! May you all have a great and profitable blogging journey ahead. Get Twitter Followers Fast (in 2018): 68 Actionable Tactics to Get 1,000 Twitter Followers (Updated)! An amazing gift from Christopher Janb Benitez. The first ever Free Blog Post Raffle Giveaway by Christopher Janb.com. Directory of the best Indian blogs, by popular Indian bloggers. This directory is generated by IndiRank, the Indian blogosphere’s ranking system. How Subscribing Helps To Get More Traffic? Ho w Many AdSense Ad Units Are Allowed, Per Page? Blogge r वशिष्ठ कपूर के साथ Exclusive Interview हिंदी में ! 13 Blog Promotion Strategies that generated me 5Khits and 1K+shares. Always great to connect with you and mention you. Thanks for sharing it here. Hi Naman thanks for your loving notes. Thanks for linking to the roundup post, Philip! Grateful that you contributed. What a joy to see you on my page again! It is indeed a great privilege to meet you and associated with you. Nice that i could contribute my mite too in your prestigious project! All Good wishes And Season’s Greetings! You deserve it and I think there are many bloggers like me who want to learn from you. I have read many of these blogs and I see you and Harleena ma’am everywhere. I would like to learn how do you manage this and how anyone could be so good at networking? Good to know about your curiosity. Thank you very much for publishing a post like this. It is a great way to show your appreciation towards those who supported you in blogging. Glad to see many of the big names in blogging like Harleena Mam, Mi Muba, Brent Jones and the likes mentioned you in their websites. Hoping to come back soon to read all your updates in this blog. Thanks once again for the wonderful gesture of appreciation and also for the kind mention of my name in the post. Keep sharing your wonderful insights. Nice to see you here again after a bit gap! Good to know that you are back to pavilion! Thanks for your appreciation and kind words. It’s a huge list. You are featured on many big blogs and that really makes a difference . Even I will share your thoughts on my blog as soon as possible. Have wonderful time of blogging. Yes of course, how could you not be included on my blog posts, the inspiring men bloggers list, and so many others, as you mentioned. That is the power of the blogging community, isn’t it? Good to see you listed all over – keep going! Yes, in fact those mentions about me and my page on your page made my blogging day more brighter! Thank you so much for your kind encouragements. Of course many like me can wholeheartedly testify this about you and Vinay. Wish you both a wonderful time of sharing and caring ahead. Thank you for including me . Hello Philip, Wow this is such a fantastic post, you my friend are thinking outside the box. What a nice way to start my day.. Thanks for your kind support and share all over! Nice that i met you and you did some wonderful job to me on my pages. Hello Philip! Welcome to a new week-month my friend!! Thanks for the invite here again today. I just love this post.. Many congratulations from my side! Keep moving and inspiring us! Thanks a lot for your kind visit again! You have been featured on so many websites. Thanks for this huge roundup. Its really good to hear from you. Much impressive and it shows your strong networking and also your performance that can’t be overlooked by influencer bloggers. I remembers in so many expert roundup posts I been so proud to be with you in the list while in many others you with so many others shared your views on concerned topic. Now blogging does not remain publishing on your own blog; this is an era of online socializing as much as one can and you are doing great in this field. Big congrats for doing this job so fantastically. Mi Muba recently posted…How to get 165 high quality dofollow backlinks with Visme? What a pleasant surprise to see you again on my page after a long gap! I am so glad to note that the restrictions to visit my page is eliminated now!!! I was really wondering how come that happened, Anyways I am glad that now you are able to visit. Thank you Sir for your relentless support to me in my blogging journey, I still remember and thank you for the way in which you supported me in my blogging journey in my ups and downs! Yes, I am so proud to be by the side of you Sir, Keep helping and supporting fellow bloggers. I am not surprised you have been featured in so many blogs. Your contributions on platforms like Kingged.com have been awesome and just about any blogger would like to have you as a guest. Congratulations for being featured in so many places out there. Keep up with the good work and continue adding value to the blogosphere! Thanks Sunny for all your support you and Kingsley rendered to me during those periods. Indeed an impressive post, You are one of my favorite blogger form India and of course inspiration for many others. You have been featured on so many blogs and you really deserve it. Nice to know that you like my pages. Keep visiting keep sharing’May you have a great time of blogging ahead. Oh No, just attempting to be there! Congratulations and what an accomplishment to have so many wonderful bloggers include you in their posts. You are definitely getting your brand and your name out there by providing great information and resources to others. I am so glad to share something about PAC too! though i was bit late in attending to your reply. I am not surprised that you have been featured in so many blogs. You are an inspiration to your generation. Love your blog and your writing style too and I am glad that I have known you. It was great to be featured in your blog. Thank you so much and have a wonderful week. Thank you very much for your kind visit and relentless supports you extended to me during my blogging journey. I remember all that with a heartfelt thanks. I am glad that I met you on this internet world. Keep up the good work yourself, man! Yes, that roundup was indeed a wonderful and informative one. Hope you may have a great weekend. I really appreciate you Bro. PV !! this really shows you are one among the great bloggers in the blogging world! Also will read all of your interview posts, will make it soon as possible. Appreciate your hard work in this informative blog. Keep sharing, we read !! Thank you so much for your kind visit and for the encouraging words. I appreciate your valuable time and for the wonderful insight you brought in. This is an impressive list! It was a pleasure to have you on the blog, PV. Hope you may have a wonderful and blessed weekend. Amazing personalities likes to read your blog and keep in touch with people like you. And in return, surely they like to feature you in their blogs. This happens because you are such an inspirational dude to everyone who come in contact with you. Nice to know and read more about you and your page. Thank you so much.. Prince thank you very much for your visit to my page and for the kind words. I appreciate your valuable presence. So pleased to have been mentioned on your blog amidst all those well-known bloggers. You are certainly keeping excellent company! Thank you so much for featuring me on your esteemed page. This is a very long list indeed. And I’m not surprised at all, you are a great and inspirational blogger and it’s a pleasure to feature you on Bloggingthing. Anh Nguyen recently posted…Wealthy Affiliate vs Affilorama: Which is Better? It really connects all of us from around the world. I thank you once again for featuring me on your page with that amazing roundup! I’m really thankful of you including me in this roundup of great bloggers. As I was going through the list you have here I’ve noticed there have been a few blogs I haven’t visited in a long time. With that said, I’m going to bookmark this post so that I can make my rounds. Besides that, there are a few new blogs I like to visit since they correlate with my niche. Thanks Philips and I hope you have a great weekend! Thanks for linking to the post Philip. It must be a great achievement to get onto all those roundup posts. I mean it’s not like you had any control over them. You just got the invitations. Thanks Zak for your kind feedback. It’s my joy to post a note about you and your page. It’s a moment of Joy for me to get mentioned in your post. You are really an inspiration for us in this blogging world. And It’s the pleasure of me and Vashishtha to mention you in my Blog. Prakash Kumar Nirala recently posted…AdSense चाहिए? तैयार हो जाइए ! Nice that you visited again and dropped a valuable comment. This is really super amazing posts and many thanks to mention me in your featured post. :) Keep Blogging like this. Great to see that you are one of the most popular person in the blogosphere as so many bloggers has shared your journey & experience. Good luck buddy. What an amazing result there. What is your strategy in order to accomplish this? It’s just amazing. Build a relationship with the people around! Keep visiting with more such valuable feedback. You are so very welcome, Phil. It’s a pleasure to feature you. My God! That’s a heck of a long list of blogs where you have been featured, Philip. It took me so long to just go through it. How long must it have taken for you to get to this point where so many bloggers want to feature your blogging strategies and success in their posts. I’m hoping I can do at least a fraction of this over the next few years. Please offer me some encouragement and tips to achieve this. I am sorry I am a bit late to respond to your wonderful and exciting feedback! Yes, indeed that was a long journey with more dedication and consistency. You or for that matter anyone can reach that level! Keep visiting, Keep reading, Keep commenting on others posts, of course, the value added ones! Wow. Philip, you’re super super awesome blogger. Honestly, nothing strange to me as you’re always have great relationship and network with other authority bloggers and even non authority. You know? I love your way of interaction, and you educated me a lot in just a short period of time. I am glad that we are friends and you wholeheartedly accepted my suggestions, I appreciate such nature. But, i am sure many in this field take it such suggestions the other way round. I am really happy that i met you. Thanks for your valuable feedback. I appreciate your valuable time. Hey, by the by you too are going to be in this list shortly, as i said there are few more seinors to bring in! Wonderful! it’s so wonderful today! Philip, I know sometimes, others does not appreciate someone else’s suggestion, especially when the suggestion conflict to their opinion or saying bad regarding the works. I have no reason not to accept your correction as it was a super and an amazing advice! And what’s more, your word changed me to the positive direction. I do love those and always keep those in mind. I now don’t know what to say, but so happy to get on board. Once again, thanks for putting me on the list. I have no doubt, Philip is a popular person. I am also going to publish him on my blog soon. Amazing results. Thank you so much for your kind words and offer. Thank you for mentioning my mention of you, Philip. It’s wonderful and unusual to receive such appreciation. It’s indeed a great joy to present you and your page on this post. Sorry for the delay in responding to this feedback. May you have a profitable week ahead. I came back here again because I didn’t get through visiting all the sites you mention here. It is particularly reading contributions from different experts, including yourself. Nice going Philip. That is really a great achievement and keep posting such useful stuff on your blog. Nice to meet you on my page for the first time. Keep visiting and share your feedback. You are one of my favorite blogger form India and of course inspiration for many others. Thank you so much for the uplifting words. I appreciate your valuable time on my pages. I am glad the you like my page. 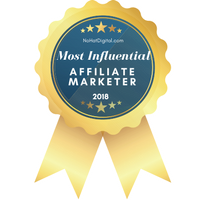 There are few online marketing gurus who have earned this. You are one of them. Everyone who have spent some time in blogging know one name that is Philip Ariel. It’s nice to see you at some successful blogging sites. God bless you. I appreciate, and in fact I am much elated by these uplifting words! May you have a successful week ahead. When you are great, doing great things, you attract attention from great people. Thank you very much for your valuable time on my page with an uplifting feedback. I appreciate your time. I am much elated by the words. Thanks again! All featured you with experts, because you have added value whereever your inputs are posted. Thanks a lot for the wonderful feedback. It really help me to move forward. Thank you for finding little time to drop in on the JOURNEY!! Well Done Philip, Thats a good list. It’s also good to know that you are progressing very well, keep up the good work and thanks for the mention! Appreciate your valuable time here. Glad to mention you and your page here on this post. From this post, I found many new blogs that I did not know earlier. For me, this post is a bunch of gems. Thanks for sharing this wonderful post sir. Glad to know that you found value in it. Thank you for mentioning . Amazing Indeed! Everybody does remember your greatness. Thank you so much for the kind visit and encouraging words. It all happened only because of the support of people like you. I appreciate once again for your valuable time on these pages. Thanks for updating this and mentioned me in your article. You make my day amazing since I found 2 times mentioning on your blog. First, the comment author plugin listing and here is another one. I will keep active on your blog. Please keep sharing your wonderful article. Oh. What’s more, please tag me on Facebook whenever you publish new post. It is indeed a great pleasure to meet you and of course, share the joy with our readers. Thanks again for visiting our page and sharing it all over. I appreciate your hard work you put in for bringing out such an elegant page. Sure i will inform you about the upcoming posts. Thanks for all your support you extended to this page. Brilliant, Brilliant Philip, this is super amazing. Thanks a lot for the mention and you have the best resource on the internet. Thank you so much for your valuable time here and for the encouraging words. It is indeed a great previlege to share your Joy with my readers here. Thanks for the kind mention too. It is indeed a great joy and privilege to have you on board. The update is so amazing! This could be a reference book for bloggers and marketers alike. Everything you need to know online is here from many different influencers online. You sure have done a wonderful job putting this together. It is so great to see so many wonderful people in one place. What a joy to hear these lovely and constructive comment. I am much elated by the encouraging words about this post. Yes, I am sure this will be a guide to many especially the newbies in blogging will give some kind of information along their blogging journey. I once again thank you for taking time to post your insightful feedback. I am sorry for the late to respond to your valuable feedback. Thank you so much for your valuable presence here again. I appreciate your kind words about my page. Very informative, Beautiful and Amazing. here in this collection of post information. I am glad to see the list of the blogs. And the IndiRank provided to your blog is amazing. People should learn from you. I like what you have mentioned about satisfying the customers. Ravi Chahar recently posted…Power of the Retweet : Adopt The One-On-One Twitter Growth Strategy. Thank you once again for your valuable time here with a touching and encouraging comment. I appreciate your time on our page. It’s insane, am really happy to see this list of blogs where you are nominated. I am here to learn from you. I also desire to mention you in my post through the expert round. Soon I will contact you for your advice. Have a Good Day. What a joy to see you on my page for the first time. I am glad that you liked my page and could pick up something from it. Just an excellent way to show the appreciation! Adeel Sami recently posted…Are you the Moody Blogger? I appreciate your valuable time and for the lovely words. it’s is indeed a great joy to see the wonderful developments on the pages of Philipscom. So glad to be part of it. Great Roundup Post, Hug List Well, Done! A lengthy article but really a good collection. I would feel great to connect with you. I have connected with you only since 6 months back but this lined up roundup post has provided me all the details and achievements you have received from the beginning. You have a very good and big network. I need to learn a lot from you. I need to go back and read out all the updates form the beginning. You are really a great blogger. I am very much impressed after seeing all your strong networking. After this post reach out the market you would be become a role model for many newbies. I really felt happy and proud of you. Keep writing. Thanks for sharing these collection of links. WOW! great post, Only read it quickly so I will go over it again later! Lesson 9 is the eye opener! I find it really difficult to give away great content that I have just spent hours writing, but as you say, it’s got to be done!! I am so glad to meet you on our page. I appreciate your valuable time here with a wonderful feedback. That’s a very nice post. A good piece of information which i love to read and also share it with my friends. Mindblowing roundup post Philip sir and all priceless tips shared by the industry experts. First of all I would like to thank you and everyone who have contributed to this super helpful post. I am so glad to meet you on my blog for the first time. Thanks for the kind words. I am glad that the post is beneficial to you. Yes, indeed the people who shared from their experience are worth notable and follow. I appreciate your valuable time and insight you put in. Thank you for mentioning me and my blog here, Sir. Also, Thank you for being a part of our Mega Roundup post. Your comments added more value to it and we have learned a lot from you. It’s happy to know that you are featured in many other blogs and I think, we have many more things to learn from you. The idea to share all those roundup links in one post was a nu great idea. So, we can find it quickly. Thank you for mentioning me and my blog here. Also, Thank you for being a part of the Mega Roundup post. We have learned a lot from you. And I think, this is a great idea to show all links in a single post. so, we can find it all quickly. Hey Philip Verghese Ariel great article I really appreciate you for adding all these in one post! Indeed a great post, in fact it is a wonderful guide in itself. I have learned things from this collection of articles. Many experts mentioned you in their blog posts. Indeed this is precious. Thanks a lot keep updating us. Wow, wow, wow! Just putting this blog post together must have taken a lot of time. And the number of different sites you have written for and shared your expertise. And many have responded on this post. You are a true role model of how to become an influencer by reaching out to others, inviting them to participate in your events, joining their events – and doing it regularly, consistently. And then sharing about it and citing the people. Truly remarkable. I love Donna Merrill’s suggestion to possibly create a book out of this – one stop place to become a great blogger, so many different perspectives from bloggers around the world. So glad to know you and to watch you in action. Hi Philip. Thanks for the article and glad for you that you have featured in so many blogs and websites. Keep rocking. The key is once you find your passionate niche, you got to network with people from the same niche and try to do interviews, podcasts and collaborate with them. The audience loves it and you keep growing as well. It’s win-win. Good to hear from you again. Yes, our passion towards a particular niche makes us go forward, on the journey when we get such moments it really motivates further in our journey. Yes, getting a better relationship with our fellow being is one of the key things in blogging. Thanks again for your insight you brought into this post. Thanks Durga for the maiden visit. Thanks for the list of mentioned you listed. It just not made you happy but your audience too. You are really amazing. The roundup posts of experts were successful because you decided to share your profound ideas with my readers. It would have remained incomplete if you never replied to the mail I sent. Great job by adding the Roundup note (link) on your page. This one of the benefits of a brand bloggers and you are enjoying it now. However, is there a way a fellow blogger can feature on this blog like others have featured you above? And how can one guest post on huffington for free? Wow Philip! That was such a generous and encouraging gesture! What you have achieved in this field is really remarkable. Seeing so many comments here made me feel even more connected to the blogging community. It is truly amazing to see so many bloggers integrating on a single platform! You deserve that for your great work. I really appreciate you for adding all these in one post! Indeed a great post, in fact it is a wonderful guide in itself. I have learned things from this collection of articles. So thanks for giving your valuable ideas. Writing blog with knowledge sharing is the biggest tool to educate people online. efforts.Best of luck and warm wishes from my side for your future. The resource which you have shared is the awesome one and I would appreciate those bloggers who have mention you on their blogs and I would like to do the same thing, which they have done. This is really a wonderful method to reciprocate your fellow bloggers. I appreciate your way of presenting your friends who mention you in their blog posts. Indeed you have a great influencers circle. Your blog posts are really informative and it always helps me to gain knowledge. It is really great to note the amazing bloggers and other top influencers who featured you on their websites and blog post. Congrats. I appreciate your efforts to put all those information together for the benefit of your readers. This is really an interesting and informative post. I bookmarked it for my further read. Keep sharing. Wow you started in 2007. That’s a lot of experience :) I’ve started 3 years ago. Amazing personalities like to read your blog. I appreciate your valuable presence. I a happy to found an important and outstanding website on my blogging journey. Keep it up the great work. Wish you many more opportunities in the coming days. Philips, very inspiring article. Congrats to your long journey of blogging and teaching new tech folks like us. Sir, Hard work always get attention. I appreciate your hard work. I gain a lot of information and some experience through your content. keep writing Sir. This is indeed an amazing story! thanks for sharing those wonderful and amazing bloggers who featured you on their pages. Hello Philip, what an article it was! Though it was very lengthy, it was all worth my time. Looking forward to read more such great stuff from you, keep the good work brother. This is a big list. You seem to have a lot of experts talking about you and your blog and I can see why. Keep up the good work, fresh content. We appreciate it. Keep writing. Appreciate the hard work done. Great article, very useful and informative. I am looking forward to read more such interesting and informative articles on interesting topics from your side. Keep up the good work. Hi Philip, Great post and huge list of bloggers. Yes in this field we face good and bad experience. Felt happy for you as you are one of the successful and top 10 blogger now. Thanks for sharing this informative and wonderful post. It’s really a great achievement and this mention is also viable for bloggers. Your article is really informative and rich with ideas. Very useful. Thank you for the post. Excellent blog post. I like your website. the article is really informative and rich with ideas. you are projected on many different top websites. Great achievement in your blogging journey. The other posts on Philipscom are very informative and educative. Keep up the style of writing, very useful posts all over the site. Keep writing. very nice information. this post is really informative and helpful. indeed you are an influential person among the bloggers. Wish you all the best. Wow, Philip, what an amazing post, I can see you have been adding to it for absolutely ages. Thank you so much for including such a large section on it about my posts about your commenting experiences. I feel honoured to be included, especially with my photo right at the top! I appreciate you for this great achievement in such a short period of time. Comments are indeed vital in blogging. I appreciate you for putting such a lot of information regarding blog comments and its importance. This no doubts a wonderful guide to all bloggers, especially the one who are interested in commenting on fellow bloggers posts. It’s really a good post. I have learned many things from this post. Thanks again for sharing this informative post. Keep sharing. Much impressive and it shows your strength of networking and also your performance that can’t be overlooked by influencer bloggers. I remember in so many expert roundup posts I been so proud to be with you in the list while in many others you with so many others shared your views on the concerned topic. Thanks for sharing such information with us. This is indeed an EPIC post. My goodness! I don’t know how much time it took to develop this! You are indeed featured on many well known websites around the world. Keep it up my friend. Keep going. Well done !! keep Blogging and spread the knowledge through such posts. Thank you, Philip, for the wonderful shout out! This is a huge post and not easy to read it all and find the comments! Thanks a lot for the valuable presence here with a feedback. I appreciate your time. There is no doubt that you are the best blogger and many bloggers featuring you on their post. or blog because you are the inspiration for most of the bloggers. I also urge you to read the comment policy of this site given at the end of every posts. Indeed it’s a must read for all comment authors of Philipscom. Your first 3 commments will not get a backline. Keep visiting. And share your views. Amazing article thanks for sharing this valuable content for us. Indeed this a praiseworthy thing to note about your achievement on online. You very well procured a good number of influencers within a short span of time. A great and rare achievement one can claim in their blogging journey. Great going. Keep it up. Nice information you have provided in this post. This is my first visit to your esteemed post. This is really an interesting post, good to go through the pages. I found a lot of useful information on this website, will visit again to read more. keep up the good work. Thanks for sharing. It is indeed a remarkable accomplishment. When pros in your industry mention or feature you in their content, it boosts your credibility and authority. Good job, Philip and congratulation! It’s really a great post featuring you on many number of websites and blogs. This is indeed a rare Honor. I appreciate you for this great achievement. This is indeed a great share! I appreciate the efforts you put in to get such a lot of influencers. Great indeed. Thanks for sharing with us. Keep going. Keep sharing. It’s really a great and valuable piece of info to those who are in the industry.